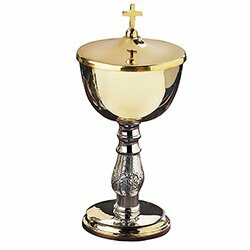 Our Two-Tone Ciborium with Cross Cover was exclusively designed for Autom and manufactured using only high quality materials. Each piece is crafted of lead-free, 100% food safe brass and then gold plated to meet our high quality standards. 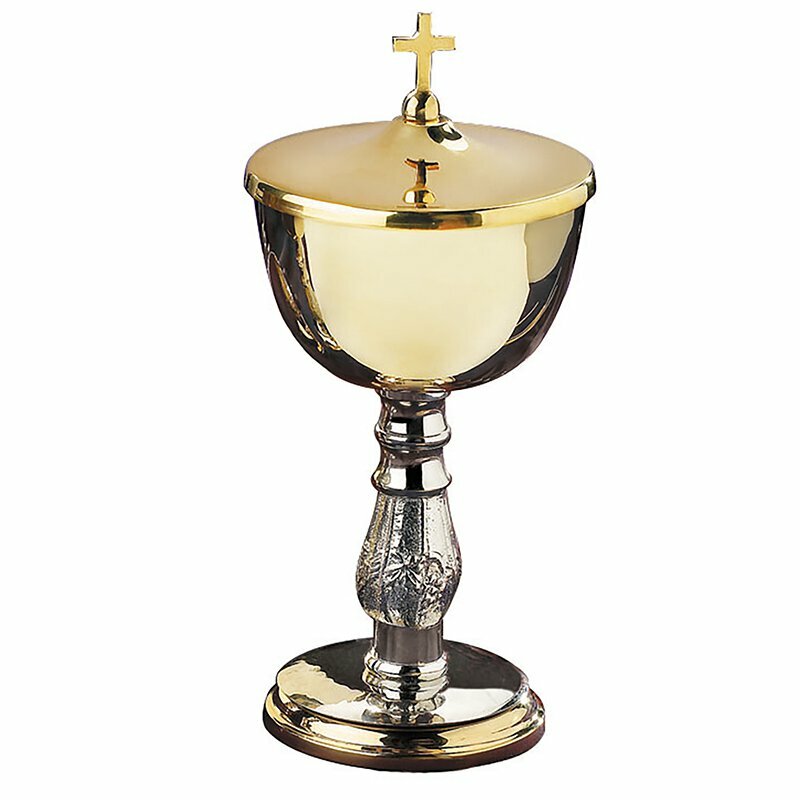 An embossed, antique silver plated ciborium stem was added to create a very unique look. It is truly an exquisite set at an unbeatable value. You will not find a lower price anywhere else…we guarantee it! 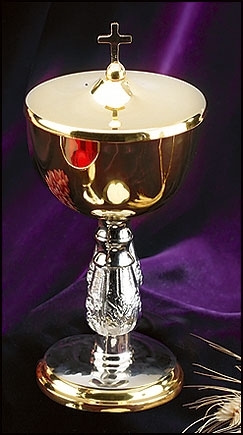 Please also see our matching Two-Tone Chalice and Paten (EC505).